 Air conditioning not working?  Bad smells coming from your A/C? Turning your A/C on in hot weather can be extremely disappointing when you discover its not working, or simply blows warm air into the car. 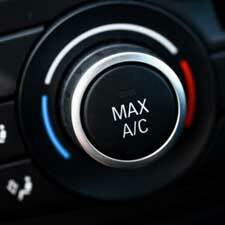 When the hot weather arrives, you want an A/C you know you can rely on, especially if you plan any long holiday trips. At Country Club Garage in Wallingford, CT we are specialists in all kinds of auto air conditioning repair. With more than 40 years experience, we know how to provide professional services, at prices you will love. If you are experiencing problems with your air conditioning, bring it in to our repair shop for a quick repair, before it breaks altogether! One of our experienced mechanics will inspect your A/C system to identify the cause of the problem. We will then explain our solution to you, so you know exactly what you’re paying for. Unlike other mechanics who charge you for necessary work, we strive for honesty and integrity in all of our work. Call to arrange an AC repair today!